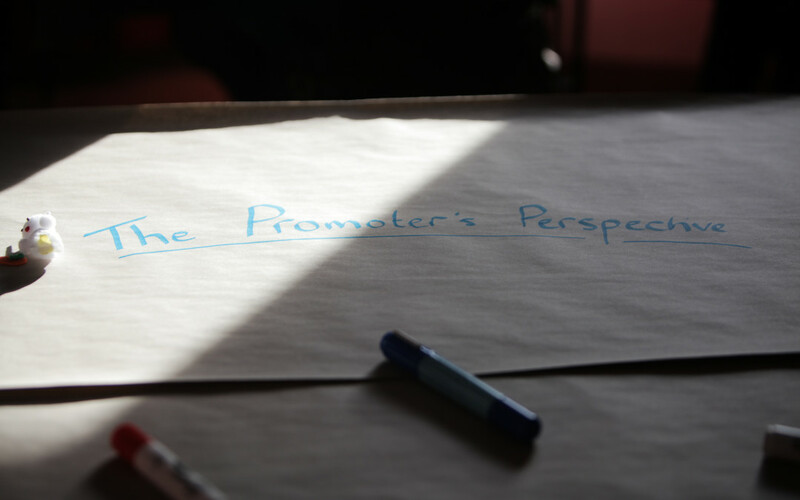 John Saich, one of our Promoter Support Associates, has spent the last few months meeting with each of our Promoters, to find out a bit more about them, their communities, and their future plans. The insight he has gleaned from these discussions is helping to shape the support and services that we offer to Promoters. A recurring theme that he has noted, is the need for more opportunities for Promoters to meet with each other, especially closer to home, to network, discuss programming plans, and learn from each other. As much as the annual Spring Gathering is a useful and enjoyable event, meeting face to face only once a year, just isn’t enough. As a result, we have decided to bring the Gathering concept closer to our Promoters this Autumn. We will be on tour in the last week of September, bringing our one day Micro Gatherings to Argyll, the West Highlands, Caithness, and the Inverness area. Each of these free events will be open to Promoters in the surrounding area, and will feature a facilitated networking session in the morning, and a structured training workshop in the afternoon, as well as plenty of breathing space to chat to each other over lunch and cups of tea. Planning is underway for these events, and we will be inviting Promoters to register very soon. Stay tuned!